These new features were inspired by a user suggestion (thanks MS). 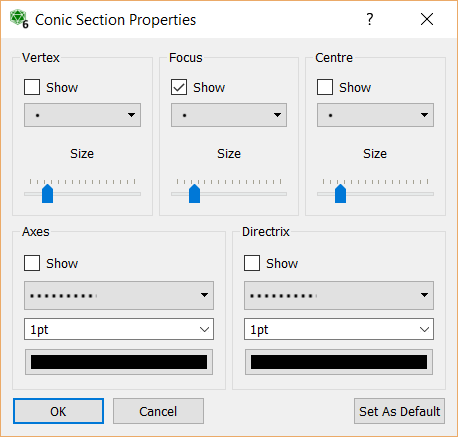 We have uploaded a new FX Draw (V6.003.2) that includes three new conic sections tools. These allow you to quickly and easily draw conic sections using the locus model. We have also updated the three ellipse tools so that they can mark their own vertices, axes, foci and directrices. Efofex Software produces graphic production software designed specifically for secondary mathematics and science teachers. This entry was posted in Uncategorized and tagged Mac, Windows. Bookmark the permalink. Efofex Gives You The World!